This Ferretti 830 with its 2 x MTU 1950hp engines is testament to her owner´s strive for perfection. She is in sublime condition and combined with a high level of maintenance and servicing she is by far the best Ferretti 830 on the market. 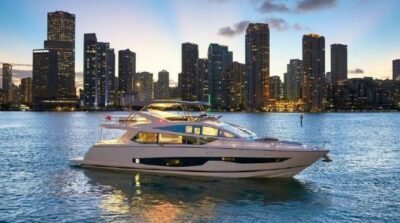 Viewing is highly recommended on this highly specified yacht!! Hard top complete with retractable fabric.